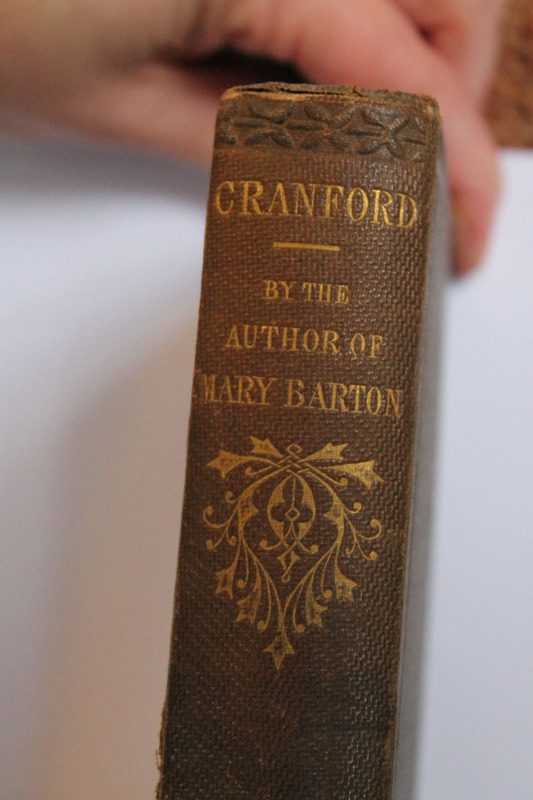 A signed copy of Cranford once gifted by Elizabeth Gaskell to a friend has been returned to her Manchester home after over 110 years. 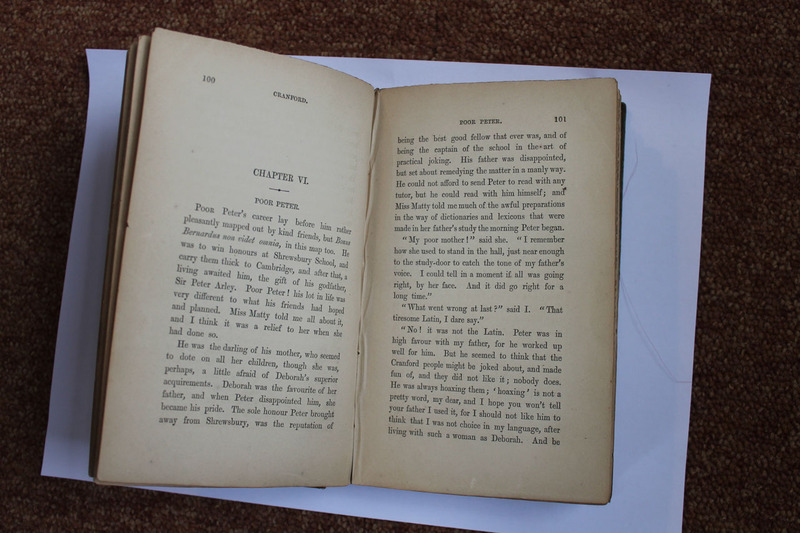 Purchased by the Gaskell Society, this signed first edition is now on display in the author’s House, alongside the fascinating story of the book’s four owners. 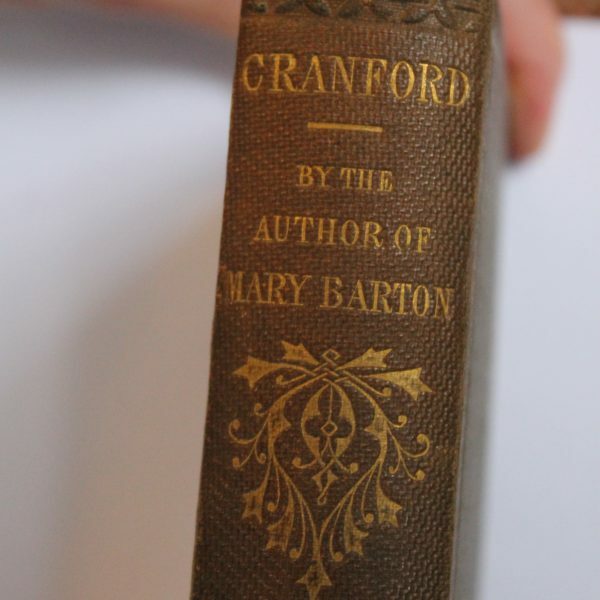 Despite Cranford being the most gentle, domestic and non-political of all Gaskell’s writing, research into the various owners of the volume reveals their involvement in important issues from Peterloo to the Yom Kippur War. 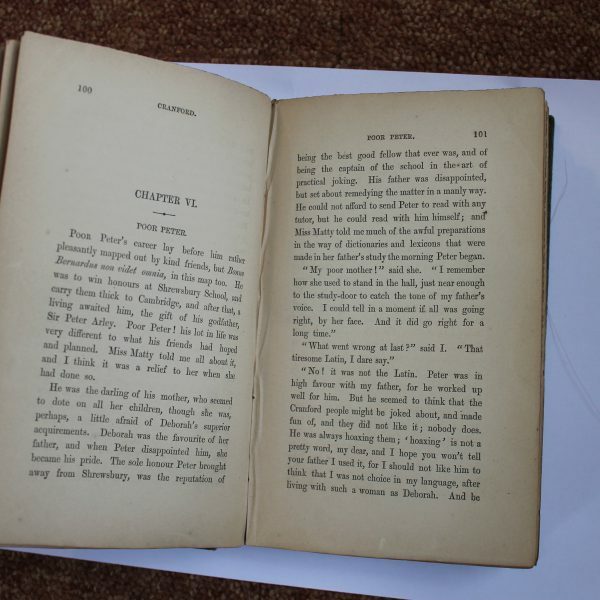 Best known for the BBC adaptation starring Judi Dench, Cranford was inspired by the Cheshire town of Knutsford, where Elizabeth spent her childhood, and it has never been out of print since it was first published in 1853. 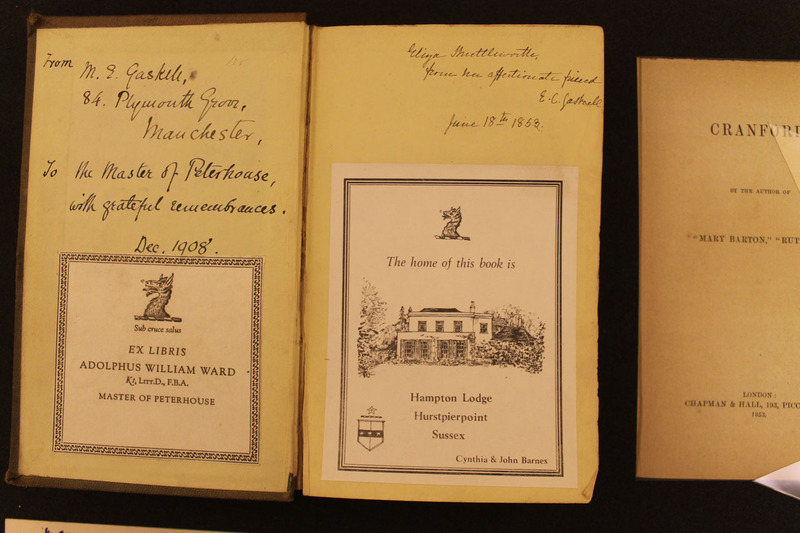 The book has two book plates and inscriptions, including a short note from Elizabeth’s daughter Meta in 1908, which show the book’s journey from Eliza Shuttleworth, whose husband was one of the founders of the Manchester Guardian and a witness at Peterloo through to the diplomat Sir Ernest John Ward Barnes, after whose death the book was sold via a bookseller in Brighton. 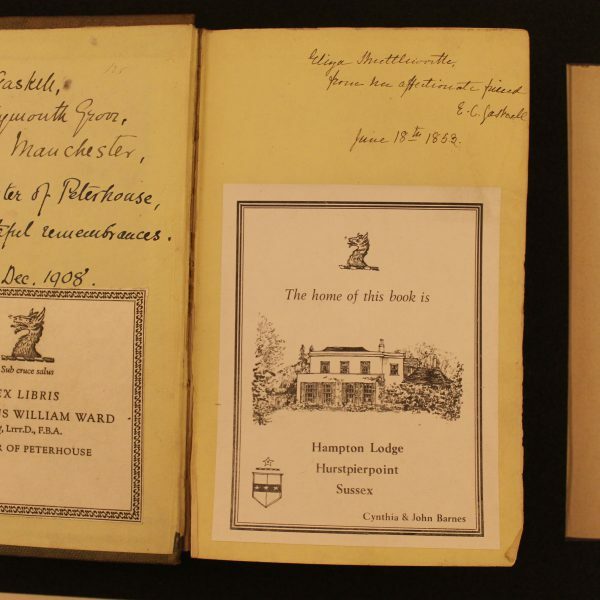 The book is on permanent display at the House. Available to see on any Wednesday, Thursday or Sunday 11am-4.30pm. There will be a short talk ‘The Travels of Cranford’ on Sunday 17 March at 1.30pm. Included in admission.